Mobile friendly website design - the consequences if your website isn't. You are here: Home › Website Design › Why your website MUST be mobile-friendly. Why your website MUST be mobile-friendly. • Comments Off on Why your website MUST be mobile-friendly. Google’s latest algorithm update is being dubbed “Mobile-Geddon”. What does it mean for your website and your business? I wrote a few months back about updates Google had made to their SEO algorithm that determines the ranking order of websites on the Google search directory. One of these changes was to reward websites that were mobile-friendly. Google has now taken that one step further by not only rewarding websites that are mobile-friendly, but punishing that that aren’t. 1. 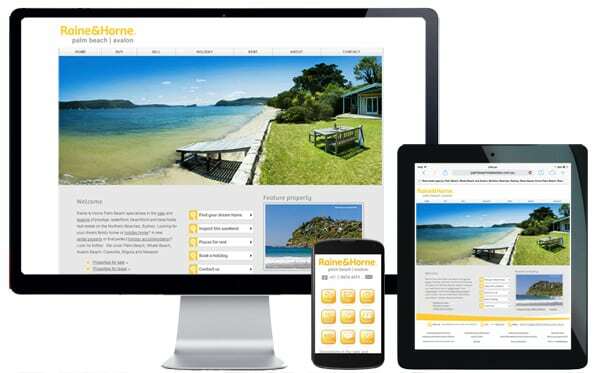 Develop a separate, mobile-friendly website. How this works is if someone is trying to access your website on a smart device such as a phone or tablet, they are automatically diverted to your mobile website. If they are viewing your website on a computer or laptop, your current website is opened. Refer to the example below. 2. 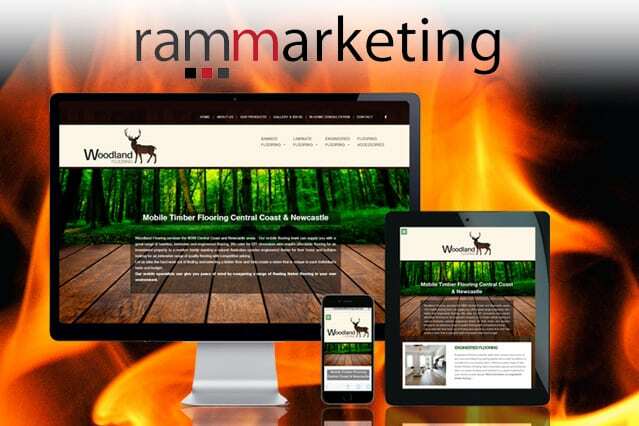 Upgrade your current website to a responsive layout with mobile-friendly functionality. A responsive website works by automatically adapting, resizing and shuffling the various elements of a web page for the device it is being viewed. Refer to the example below. 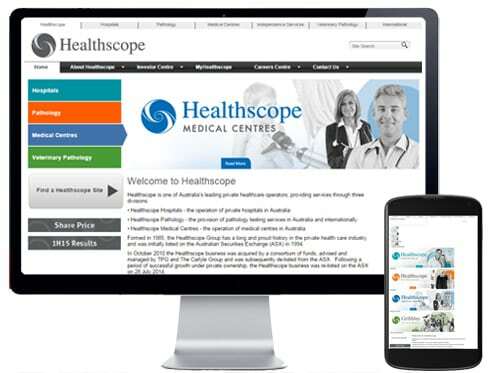 As a benchmark, below is Healthscope’s website, an ASX top 200 listed company. While their website looks perfect on a standard computer, it is not very user friendly when viewed on a mobile phone – the text is too small, the links too close together and a mobile viewpoint has not been considered. This is what Google is trying to avoid by moving websites that aren’t mobile-friendly further down the search engine ranks. They want their users to enjoy a more user-friendly website experience. Cynics are suggesting that Google has made the change because their mobile search engine is losing advertising revenue because mobile users prefer to use apps which are easier to use on a mobile phone. Either way, Google holds the trump card and we are forced to adhere. It’s important to note that this update doesn’t affect your website’s ranking when viewed on a standard computer or laptop, but may affect your ranking when someone does a Google search on a mobile phone or tablet. If you think potential customers and clients are likely to search for your products and/or services via a mobile device then this update is an important one. The good news is that if your competitors don’t have a mobile-friendly website and you do, then this update can be used to give you a strong competitive advantage over other businesses. Similarly, if your website isn’t mobile friendly but your competitors ones are – you’re the one who will be disadvantaged. Interestingly, a bunch of IT gurus checked how many of the ASX top 200 company websites were mobile-friendly. More than half (51.5%) weren’t deemed mobile ready and will conversely be penalised when Google’s changes kick in. 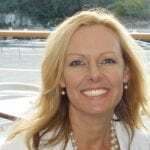 Opportunities currently abound for small businesses at the moment. 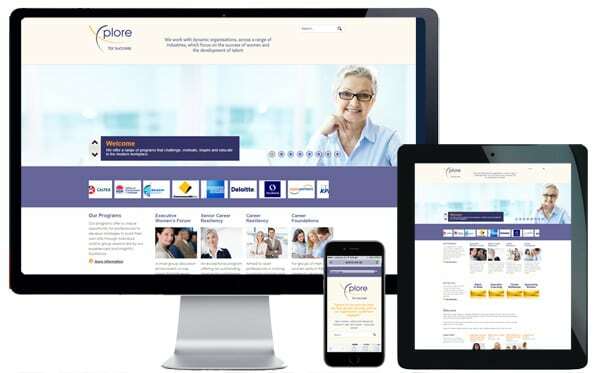 If you have any questions, or want more information about whether your website is mobile-friendly and the costs that may be involved in upgrading, please don’t hesitate to contact me, Rebecca Mitchell, anytime on 0418 118 401 or via email.